During our September Freezer Meal Swap, I had a garden full of zucchini, so it seemed fitting to make one of our family's favorite. Cook macaroni according to package directions. Meanwhile, in a large skillet, brown sausage in oil over medium heat; drain. 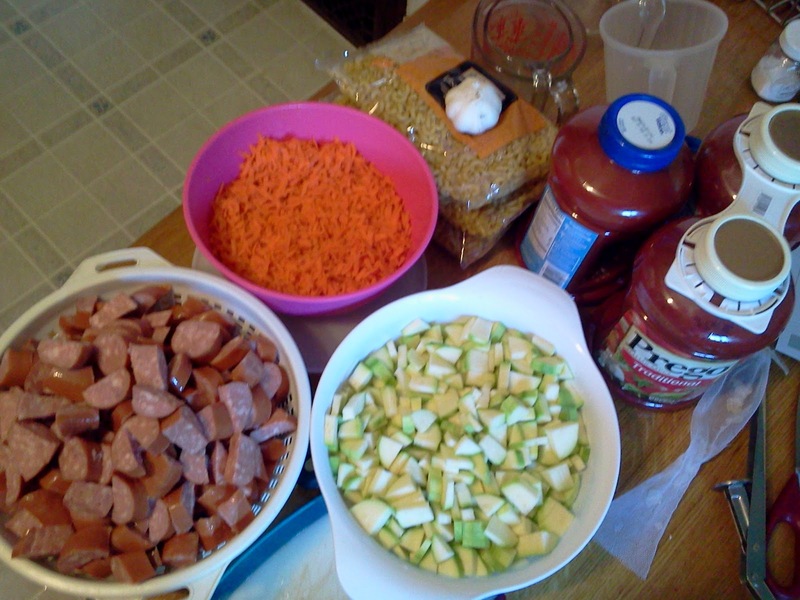 Add the onions, zucchini, carrots and garlic; cook and stir for 5-6 minutes or until crisp-tender. Stir in spaghetti sauce and tomatoes. Bring to a boil. Reduce heat; simmer, uncovered, for 15 minutes. Drain macaroni. In each of two greased 13-in. x 9-in. 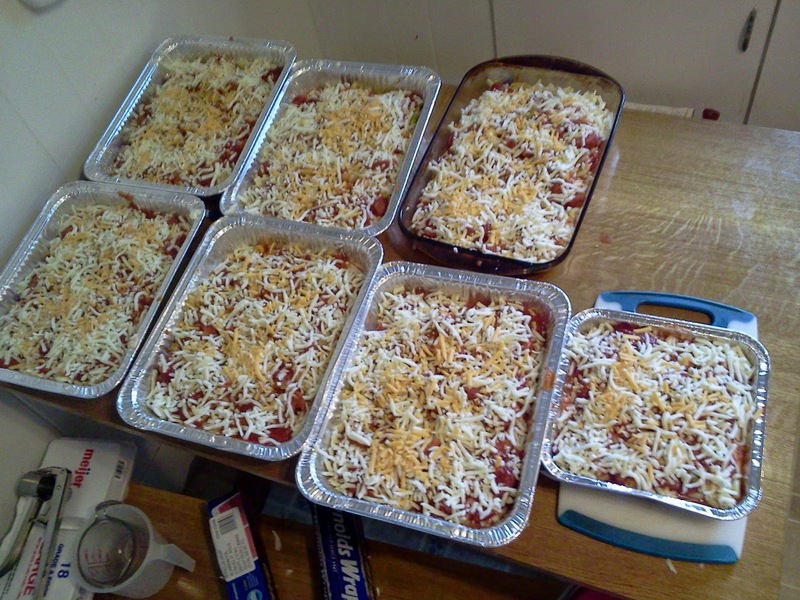 baking dishes, layer a fourth of the macaroni and meat sauce. Combine egg and ricotta cheese; spoon a fourth over sauce. Sprinkle with a fourth of the cheddar and mozzarella. Repeat layers. Top with green onions. 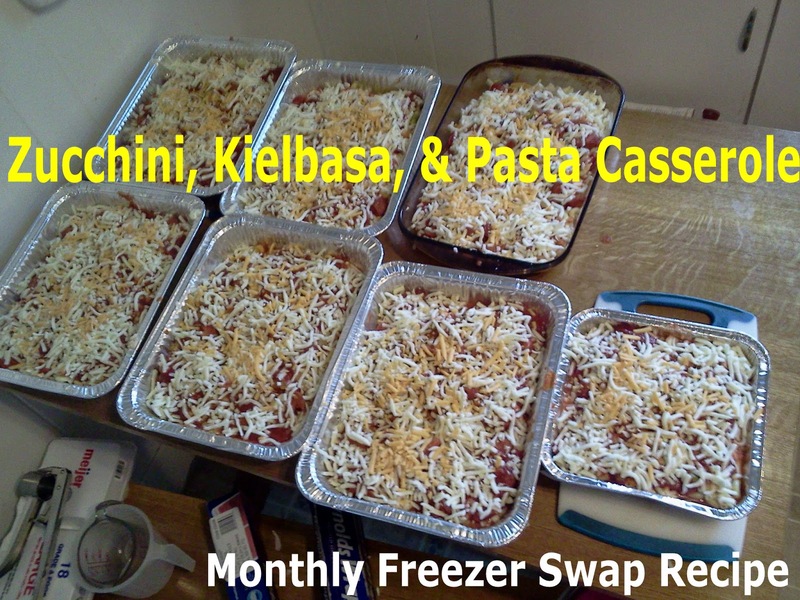 Cool one casserole; cover and freeze for up to 2 months. Cover and bake the remaining casserole at 350° for 15 minutes. Uncover; bake 15 minutes longer or until cheese is melted. To use frozen casserole: Thaw in the refrigerator for 24 hours. Remove from the refrigerator 30 minutes before baking. Cover and bake at 350° for 35-40 minutes or until heated through. 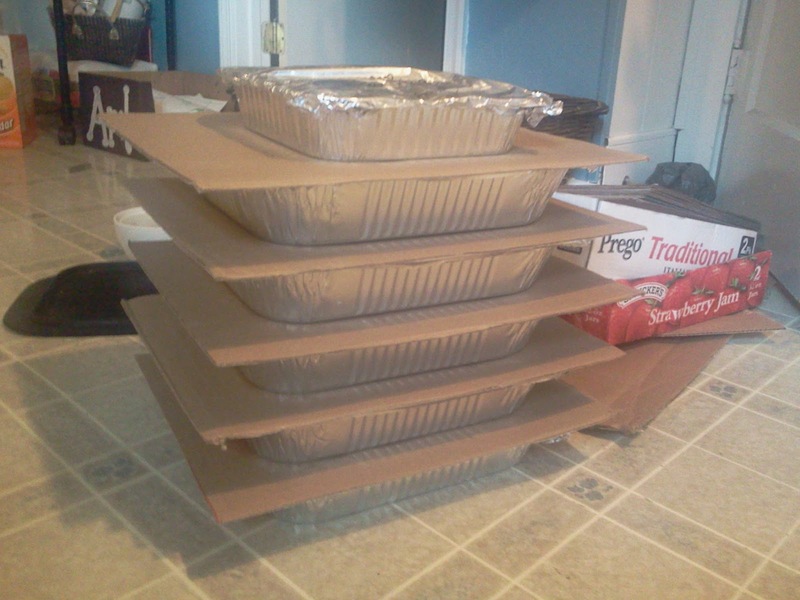 click for How to get Started or Freezer Swap Group Guidelines and FAQ's. Dear Super Mom, take off your cape.